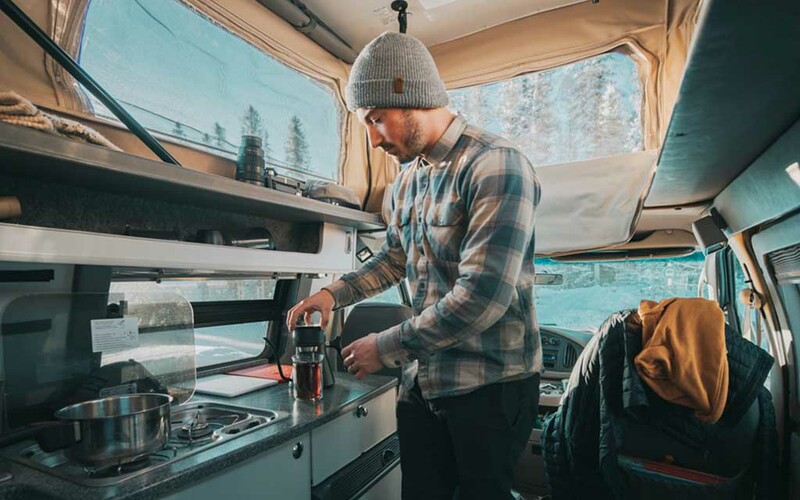 #VanLife is a concept clicked on by many, but practiced by the few. It’s sort of similar to those viral cooking videos where someone cooks a cheeseburger the size of a dinner plate or makes “dessert nachos.” You’re happy to watch and might briefly imagine giving it a try, but chances are you don’t have the time or energy to get all those ingredients from the store and cook it yourself. You may, however, have the time and energy to find a restaurant that does a convincing imitation of that burger. 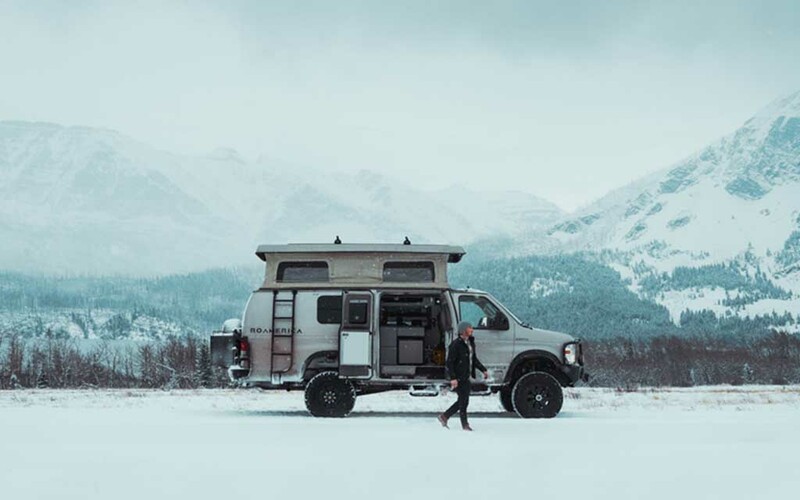 Just like you may be willing to patronize a company that will loan you an adventure van by the night. 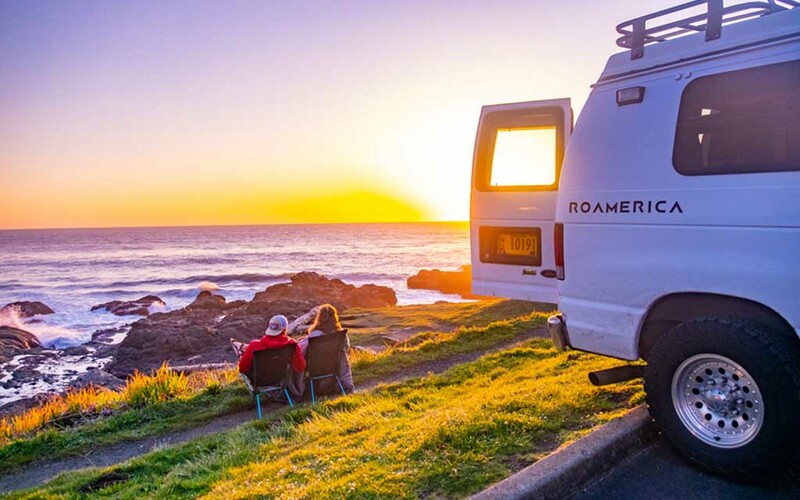 Like: ROAMERICA, a Portland, Oregon-based rental outlet with a fleet of vans and 4x4s that you can take out for a few days around the Pacific Northwest. ROAMERICA currently has seven vehicles available (though more are on the way), all of them either Ford Transits or 4×4 Sportsmobiles. 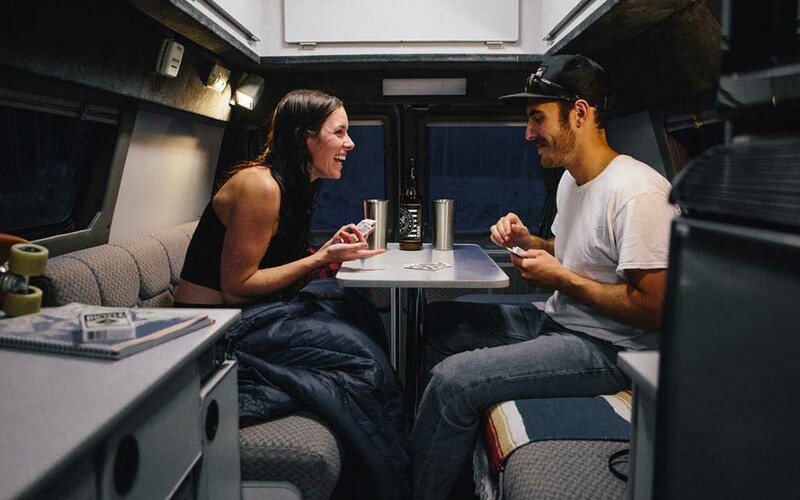 Each comes outfitted with a pop-up rooftop (high enough for LeBron to stand upright), sleeps at least four and includes a kitchen, fridge and 120v outlets, plus a supply of first-rate gear. Think Rumpl blankets, Helinox chairs, Teton pillows … there must be some serious gearheads at ROAMERICA HQ. That means you can reliably fly into Portland without needing to bring an army of bags and know you’re covered once you set off into the wild. And boy, are there some places to see. 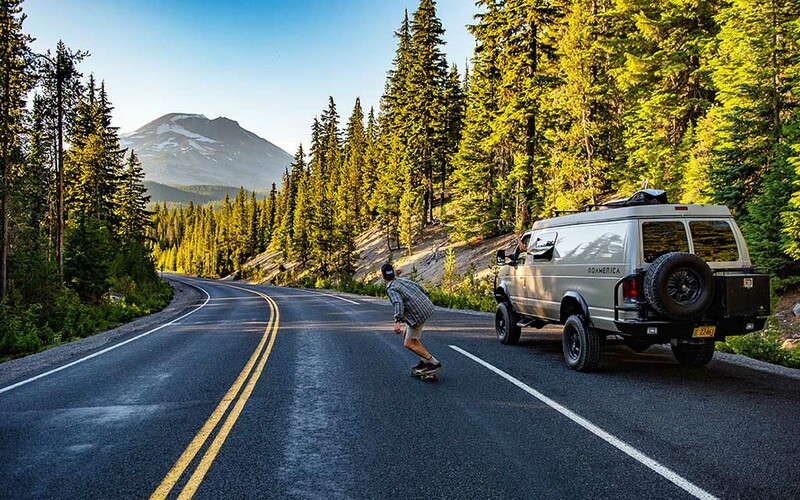 Head south to the Redwoods, north for British Columbia or stay right in Oregon, bouncing between destinations like the Hood River, Mt. Hood, Willamette National Forest, Crater Lake National Park, Umpqua National Forest and Samuel H. Boardman State Scenic Corridor. If you book between September and May, rates are $220 a night with a two-night minimum. If you book between June and August, rates are $275 a night with a five-night minimum. For more information on booking your rental, head here.